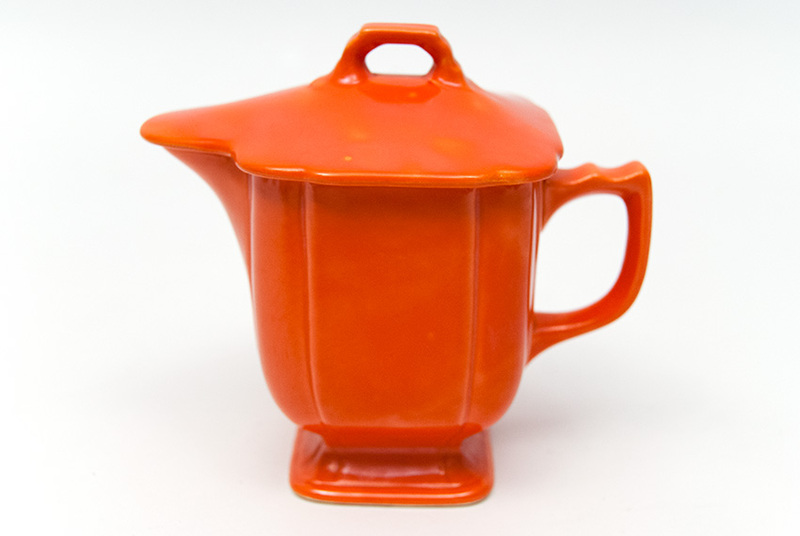 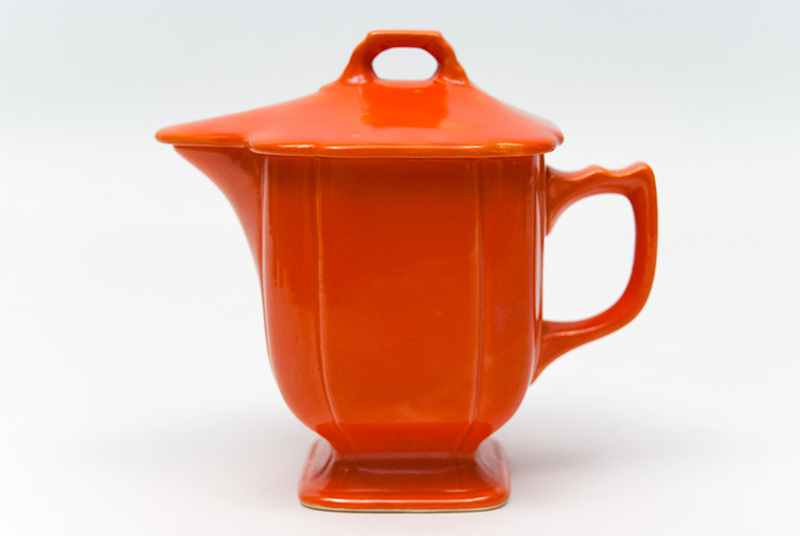 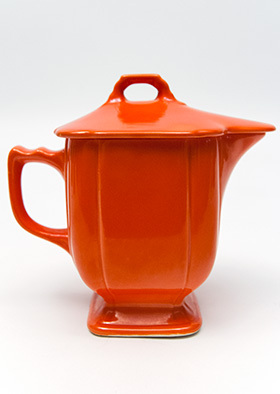 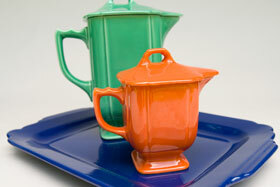 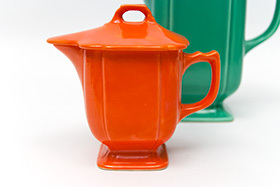 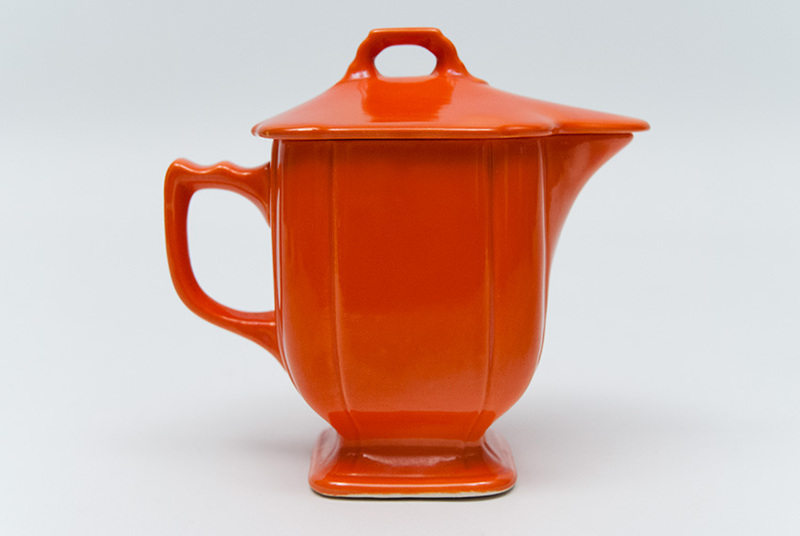 Circa 1938-1943: Riviera Pottery is a small line, consisting of only 32 pieces. 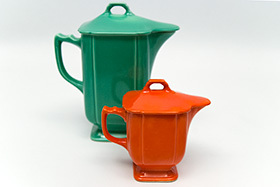 The covered jugs will be one of the highlights of the line. 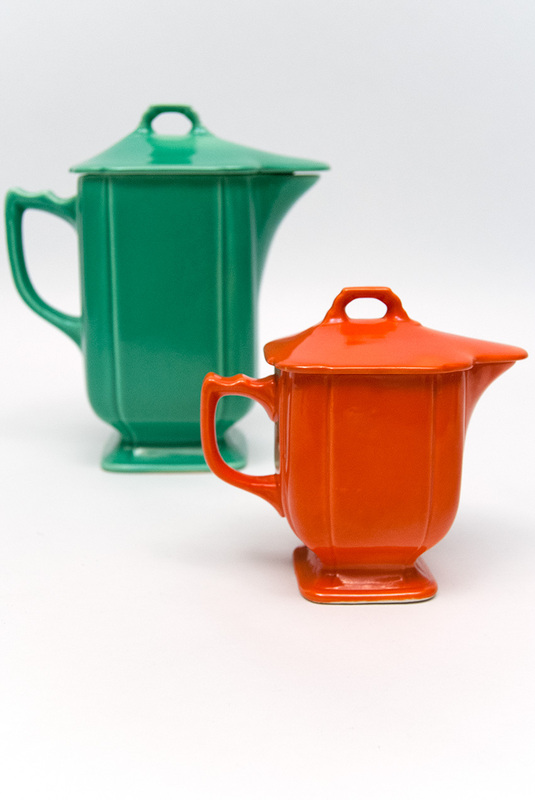 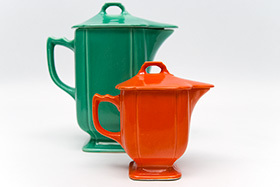 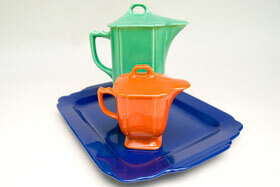 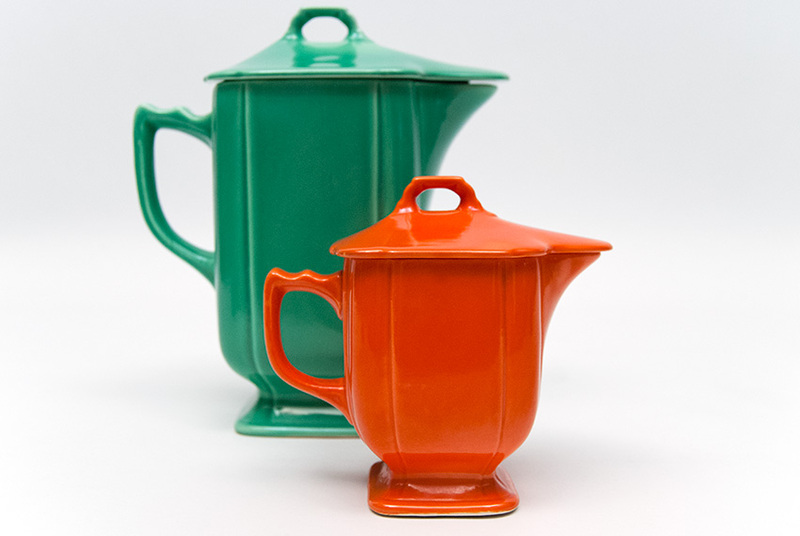 The classic set consists of the Original Fiesta Green batter jug and the Original Fiesta Red syrup pitcher with a tab handled rectangular tray. 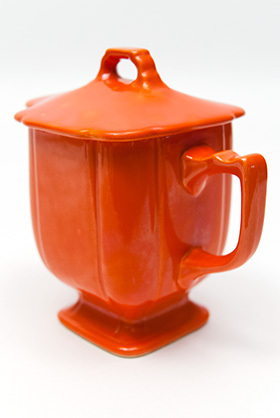 The syrup is a gem and a delight to find. 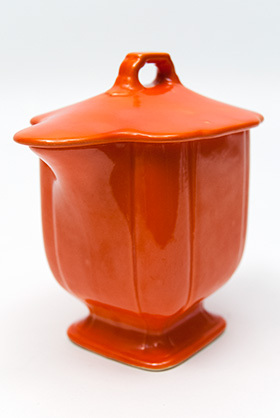 This example in the original radioactive red glaze is in excellent condition without any use or damage, a great even glaze and no issues. Designed by Frederick Rhead, designer of Vintage Fiesta pottery, the Riviera line will captivate the senses wit it's architectural elements and fine scalloped edges and art-deco angles.